Around the state, the cost of housing has spiked higher and faster than wages. That has left a gap for what economists call “workforce housing” — housing that is inexpensive enough so that people who work in the area can live there on what they are paid. There’s a new workforce housing project in the works on Maui and this one involves rental units. Colleen Uechi of the Maui News has more. Hawaii Ranked Priciest State For Rentals. Again. 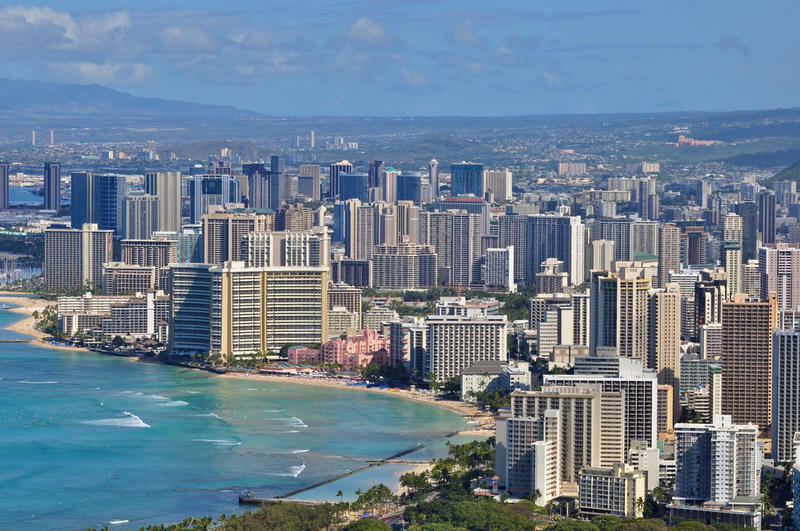 Hawai‘i residents have to earn $34.22 an hour to afford a two-bedroom rental. That’s according to a new study from the National Low Income Housing Coalition. They ranked Hawaii the most expensive state in the nation when it comes to renting an apartment. HPR’s Molly Solomon explains. The State dedicated a refurbished rental building overlooking historic Pearl Harbor today. HPR’s Wayne Yoshioka reports. The Honolulu City Council Zoning Committee unanimously approved an affordable housing project today. HPR’s Wayne Yoshioka reports. A measure to address affordable rental housing on O’ahu was signed into law today at a bill signing ceremony. HPR’s Wayne Yoshioka reports. Hawai’i’s need for more affordable rental housing was the subject of a briefing today before a Joint Legislative Housing Committee. HPR’s Wayne Yoshioka reports.